Persistent or stubborn acne has met its match thanks to Paula's Choice Clear Extra Strength Daily Skin Clearing Treatment. 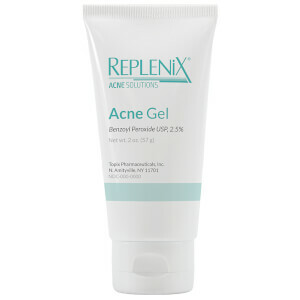 This 5% Benzoyl Peroxide solution works instantly to eliminate acne-causing bacteria to stop blemishes in their tracks. Unlike most Benzoyl Peroxide-based acne products, Paula's Choice Clear Extra Strength Daily Skin Clearing Treatment contains no harsh or irritating ingredients that can make acne worse, such as Alcohol, Menthol, or Camphor. Contains soothing anti-irritants to help skin heal and reduce red marks. Super-light lotion texture that sets to a matte finish. After cleansing with Paula's Choice Clear Pore Normalizing Cleanser and exfoliating with Clear Extra Strength Anti-Redness Exfoliating Solution, cover the affected area with a thin layer of Clear Extra Strength Daily Skin Clearing Treatment 1–3 times a day. Because some people may experience dryness when they first start using a product with Benzoyl Peroxide, it may be necessary to reduce application to once every other day or, if twice daily application proves to be too much, reduce application to once daily, morning or evening. Active Ingredient: Benzoyl Peroxide 5%. Other Ingredients: Water, Propylene Glycol, Bisabolol, Allantoin, Acrylates C10-30 Alkyl Acrylates Crosspolymer, Hydroxyethylcellulose, Sodium Citrate, Laureth-4, Caprylyl Glycol, Hexylene Glycol, Sodium Hydroxide, Disodium EDTA, Phenoxyethanol.